If you're a new member, we're very glad to have you with us. If you're a guest, I hope you'll like what you see and come join in. We are a community who originally came together on a scrapbooking retailer site, Two Peas in a Bucket. When that closed down in July 2014, we created a new home here. You will see many references to our shared history scattered around the site, but we are also creating a new story for ourselves, with new members as well as old. We are an international board, all nationalities are welcomed and valued. We are mainly women, but men are also very welcome. We have members from all walks of life, and it is our diversity of experience and views that is one of the greatest strengths of our community. We have an active scrapbooking and paper crafting board, where we share creativity and inspiration, run challenges, discuss our favorite products and retailers, and generally share our love of this hobby. If you're not a crafter, we have plenty of other content for you to engage with. Our Non-Scrapbooking Related Board - known as NSBR Resurrected - is our general chatter board, and is in many ways the heart of our community. We seek to learn and grow with each other, and in doing so, we bring both our most light-hearted as well as our most challenging subjects to the table for discussion. Some topics are deeply intense in nature, whether it's a Pea's personal story, or a social issue that strikes powerful chords. We are at times passionate and outspoken, at others kind and incredibly supportive. - Respond to any thread as if you are engaging in a face-to-face conversation with other adults. - If a thread upsets/annoys/bores you, feel free to skip over it without responding. - If you've had enough of any conversation, step out of it. - If an individual's posts continually stir negative feelings for you, use the block function. - If you ask a question, be prepared to listen to any answer, even if it's not the one you were hoping for. 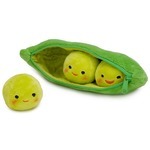 - Be open to hearing other opinions, on 2Peas you will encounter and learn from all sides. - Be able to see that even the most controversial discussion has plenty of value to offer if you are willing to look for it, rather than allow disagreement or hurt stand in the way. - Realize that "the board" isn't any one thing, it is a collection of individuals of all ages and walks of life, from all over the world, who each act in their own way... and that's a wonderful thing! - Check out the rest of the Welcome area, which has lots of useful info on how to navigate and use the board. - Make sure you're familiar with the ProBoards Terms of Service and Community Guidelines. - Upload an avatar in place of the default - it makes you more recognisable and it's how a lot of us remember who you are. - Keep a link to the Pea Dictionary handy as a guide to any acronyms you might not understand. - If you need to get my attention for any reason, tag me in a post or send me a PM (private message). - For general help, check out the Admin & Support board. - Keep an eye out for site updates which will be posted in the Current Issues thread at the top of every board. Then get posting... and enjoy!